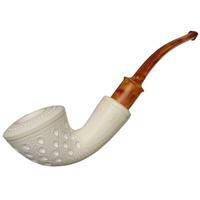 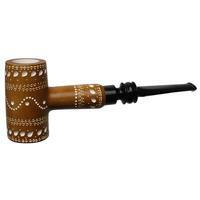 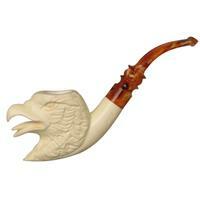 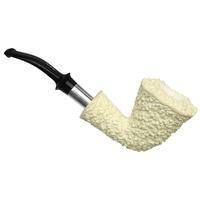 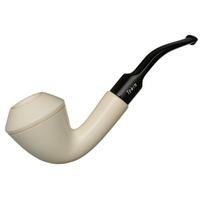 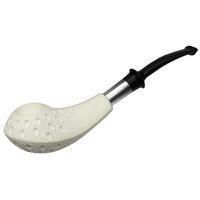 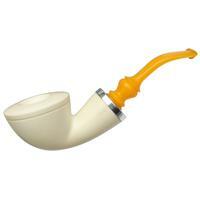 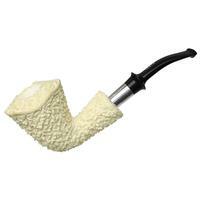 Rusticated meerschaum is no easy feat, but Tekin has done a lovely job at giving this bent Dublin some rugged texture. 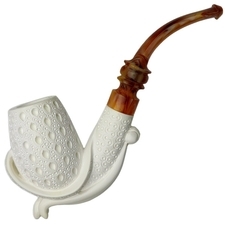 Added to the whole ensemble is a broad sterling silver accent on the stem that adds just the right amount of flash, and it is sure to become more standout as the stummel darkens with time. 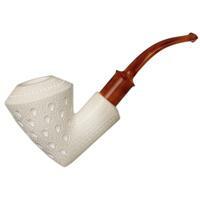 Bowl Height: 2.37 in./60.20 mm.